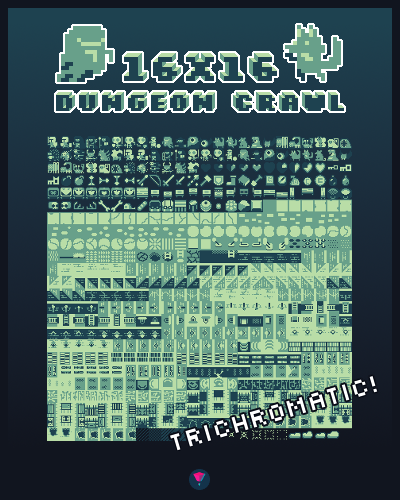 "16x16 Dungeon Crawl Assets" is a collection of trichromatic tiles, objects and monsters, all 16x16 pixels in size. The theme and the orthogonal perspective are inspired by the Zelda underground dungeons, but meant to be used for turn-based roguelikes and dungeon crawlers, but with some additional effects and animations, it could be also used for games with an active movement. All graphics use 3 colors only, which can be easily changed with any proper graphics program (like GIMP) or, depending on the framework/engine, in-game. With this color palette restriction and by scaling up the graphics, you can easily achieve a "Game Boy"-like aesthetic or use the assets in fantasy consoles like PICO-8, where color and size restrictions are relevant. License: The assets can be used in commercial and personal projects without requiring attribution, but can't be re-distributed or resold without permission. Hey Steven, I love this spritesheet! Is there any chance you will be, or would be interested in, expanding upon it to add in additional character and terrain sprites? I'm working on other assets right now, but in general, yes. What characters and terrain would you love to see? Single or multi-tile trees. 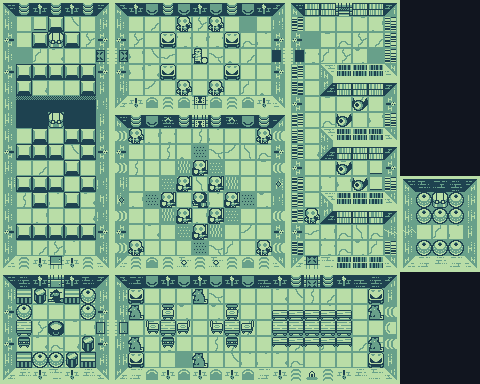 Single tiles feels more roguelike-ish, but multi-tiles seems to fit in with the theme of the set more. Short grass, medium grass (perhaps even with animated similar to the GameBoy Zelda?). Additional monsters, creatures and characters. Maybe some elemental (fire, frost, etc) sort of monsters? Any number of D&D inspired creatures. Those are some great ideas; I will put them on my list and hopefully, I'm able to get at it in the future! It's also a balancing act, of course, to stay within a dungeon crawl theme. Do you have some of your roguelikes online by the way? I like this but i need bigger than 16*16. Do you have larger version or how to resize these ? 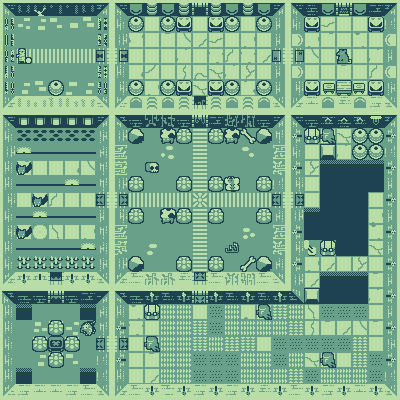 You can also send me a mail at info@stevencolling.com and I'm sending you the scaled images back (do you need only the big tilesets or the single images or both? Which size? ).